If you have bought any dvds or blurays that have a ultraviolet or related code you may be interested in VUDU or you may already have a VUDU account. I know when I signed up they had a deal where they would give you some free movies. Check out the internet to see if those deals still are around. Not the point of my post today. Not a big deal in itself since it seems everyone from Amazon (Fire Stick) to Google (Chromecast) are selling hdmi devices to turn your tv into a smart tv dongles or whatever. 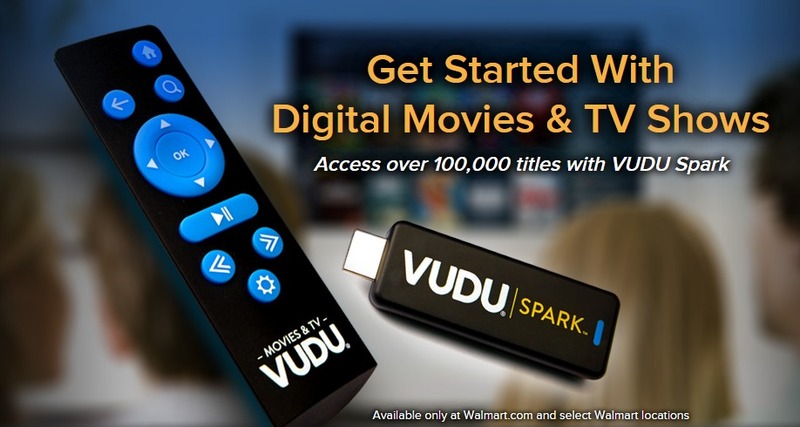 But right now they are offering a $5 a month VUDU credit for up to 5 months = $25 in movie credit if you buy a Spark. So what you ask. Well the Spark is $24.96 at Walmart so you come out 4 cents ahead if you can avoid taxes and shipping. I assume you can buy it in the store but online they will get you for shipping unless you can add some other random products to bring it up to $35 for free shipping.